We want everyone to have the opportunity to go. That means pets, too. 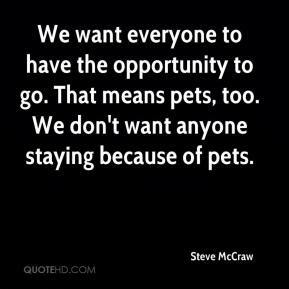 We don't want anyone staying because of pets. Certainly, there were some glitches in terms of traffic management. 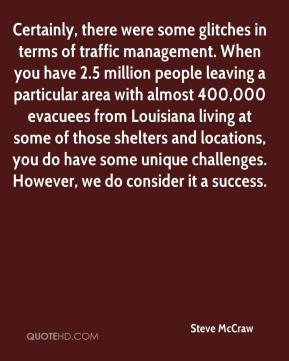 When you have 2.5 million people leaving a particular area with almost 400,000 evacuees from Louisiana living at some of those shelters and locations, you do have some unique challenges. However, we do consider it a success. 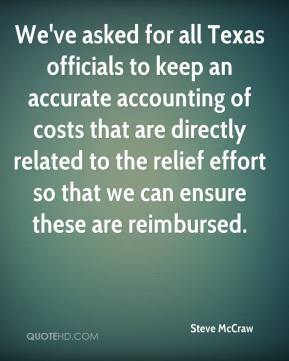 We've asked for all Texas officials to keep an accurate accounting of costs that are directly related to the relief effort so that we can ensure these are reimbursed.